Rabbi Goldstein gives a historic overview of zionism and the creation of the zionist state, explaining its incompatibility with Judaism. The audio is split in to two segments: the 33 minute lecture followed by 9 minutes of questions and answers. A few quotes from the lecture are provided below. "...The Muslims people basically got involved in the fight against zionism when it started effecting them on a political bases which is 1917 for the Palestinians or afterwards for some of the other Arab countries, We [religious Jews] were in this fight from the 1890 roughly... As soon as it was founded [zionism], it was condemned - Jews came out and said this is atheistic, this is idol worship..."
"Jews were living in Palestine - same as they were living in Morocco and else where, there was no problem - they got on with their neighbours - they were friends, then comes along zionism and says no, we want this country. Why did they want this country? They didn't really need it, Herzl [founder of zionism] was even thinking of taking Uganda but the advisors he had explained to him that you have to put some Jewish theme in to this zionism of yours otherwise no Jew will even think about it..."
Operation Magic Carpet - How the zionists got the Jews from Yemen to come to their zionist state. We have a sentence in the Torah which says that God says he will take us on the wings of eagles to the Holy Land when its time to come. The Yemenites had never seen an aeroplane in their lives - suddenly a message has gone out that the wings of eagles are here, the Messiah has come. The zionists had put the actual text of the sentence in old Hebrew on the planes - "these are the wings of eagle". The Jews of Yemen all rushed in because this was the salvation - they had never seen such a thing. When they got to the zionist state they were taken in to camps, they were taught a different life to the life they had lived before, an immoral life, an irreligious life - and they protested. There are cases still going today - this was in 1949 and 1950. Rabbi Goldstein explained to his Muslim audience that whilst for Mr. Arafat and the Palestinian Authority its a political struggle and they may compromise with the zionist state and settle for 50%, 25% or whatever they can get, he cannot do that. Ideologically religious Jews cannot recognise any part of the zionist state. "This mistrust is the greatest weapon the zionist organization has, when that weapon is destroyed it destroys a lot more then destroying their chemical or atomic weapons because you are destroying their whole reason for being there - zionism only thrives on anti-Semitism, they say that we are here to save the Jews. 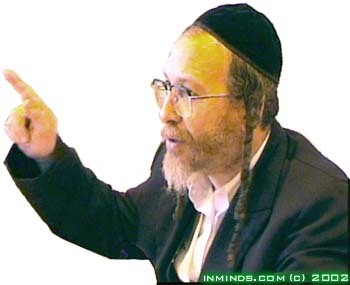 If no Jews need saving, if the Jews are fine where they are - don't need the zionism, don't need the zionist country [Israel].. "
Rabbi Goldstein at the Quds Day Rally, This is the rally mentioned at the start of the lecture (Dec 9th 2001). Listen to Rabbi Goldstein address the crowds. 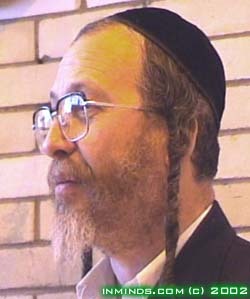 Orthodox Rabbis at the Justice for Palestine Rally, Listen to their statement being read out (18 May 2002), also see coverage of how an anti-zionist Rabbi was attacked by a zionist thug during a counter-zionist demo (6 May 2002). Orthodox Rabbis at the UN World Conference Against Racism, Listen to a lecture on the Durban conference against racism and the contribution of the Orthodox Rabbis. 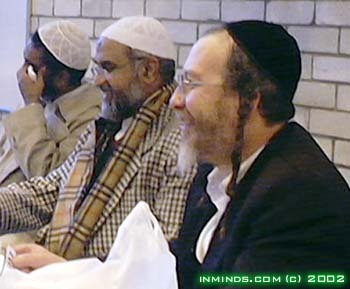 Jews Not zionists, Another good site about religious Jewish opposition to zionism..